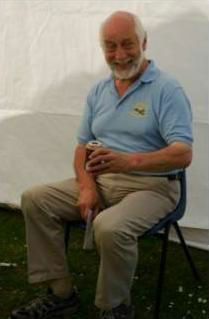 Gordon was involved in NEMT from the very beginning, becoming our first treasurer. He had a break and then came back to take over the treasurer role some years ago. He then continued as treasurer until ill health forced him to cut back on his charitable activities. Besides keeping our finances in order and helping with the lectures, he brought an unmatched enthusiasm for and knowledge of the local hills. At times, his detailed knowledge would take you back. He appeared to know every stone and every turn along seemingly all of the Deeside paths! His trips up Deeside, acting as our ambassador, to distribute Mountain Views (and collect the money!) always armed him with stories and news from the villages for our next Council meeting. He was well-liked and respected by all. His ability to inject a note of humour to help the driest of topics, tell a story to liven tired minds or present a counter view to stop us going down the wrong track will be sorely missed. His funeral in Cults Parish Church at the end of August was testimony to his wide popularity - by far and away the biggest crowd that I have ever seen at the church for a funeral. He had a wide variety of interests: at times, leading us to change the dates of our meetings because of a conflict with an opera performance or getting envelopes delivered via mutual Probus colleagues. Changing the date of a meeting was a small price to pay for his wise advice or an offer to sort out, what appeared to us, as an intractable problem. He was very much a family man and our thoughts are with those he has left behind. James MacKay (1933-2016) was a passionate, committed and enthusiastic founder member of the Bailies of Bennachie. This was acknowledged by Her Majesty the Queen in 2001, when James was presented with an MBE for his services to the Bennachie Range. As science teacher at Inverurie Academy for 34 years (almost 30 of which as Principal Teacher of Biology), his enthusiasm introduced countless pupils to Bennachie - some studied it in detail, and some helped with the practical work, including the building of the indicator on Mither Tap and Oxen Craig. James over the years, shared his passion of the hill with talks and slide shows to the wider community explaining its flora, fauna, history and landscape in detail to an appreciative audience. He was an original Trustee of the Bennachie Centre when it was built over 20 years ago. James was a man of great faith, unswerving loyalty and above all integrity. He always saw the good in people and enabled many to achieve things they may not have thought possible. His lifelong studies and work on Bennachie, is a legacy that he will leave to be enjoyed by generations to come.